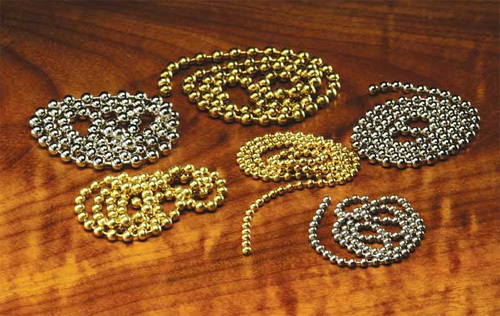 These metal bead chains for fly tying are popular for bass and streamer patterns. They will not tarnish and will not overweight the fly. The approximate bead sizes are 4.1mm for large, 3.2mm for medium and 2.4mm for small. The length of chain in the package is about 10".